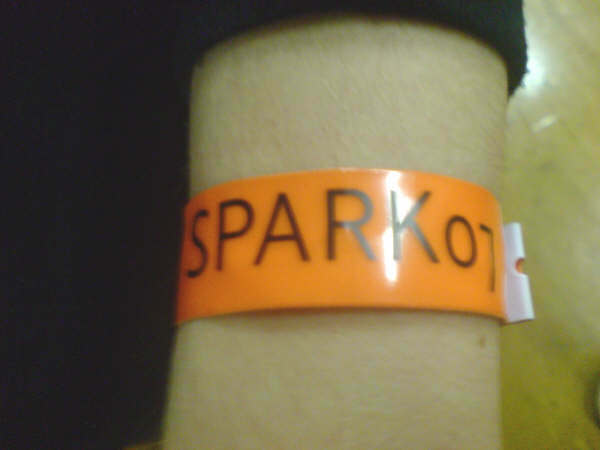 on our travels recently around ballymena we’ve spotted a few of these still on the wrists of some spark-ers!! unbelievable…have you washed?? only joking…it’s great to get that reminder from these simple little wrist bands that the memory of Spark 07 lives on in your hearts and minds. keep going!! this photo is from a Spark-er who revealed her bracelet to us on Sunday night at Mission’s Flame. (more on that night soon!) is anyone else still wearing theirs?? These will be a colourful, but important part of Spark. You’ll see them every day. But what are they?